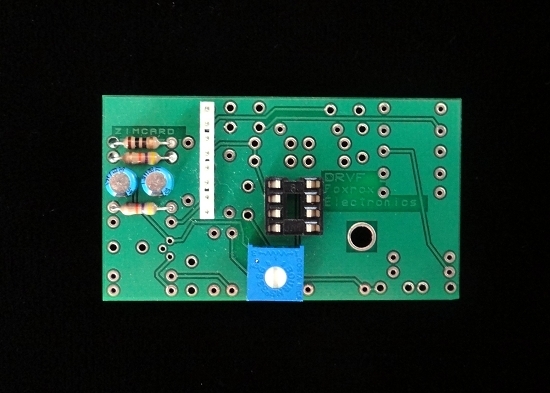 DRVF is a small circuit board that is laid out to accommodate the basic diode-clipping overdrive circuit, commonly called the Tube Screamer, or TS. This is the card from which all of the overdrive-based ZIMcards are built. Using the ZIMcard DRVF Schematic PDF, you can create the perfect ZIMcards for your ZIM. You can modify your ZIMcards over and over again without any wear and tear to your ZIM pedal. Special Savings: Buy two DRVF ZIMcards for $70. Click option above and add to your cart.